Ahuja O2 is a latest residential development in Sion, Mumbai. 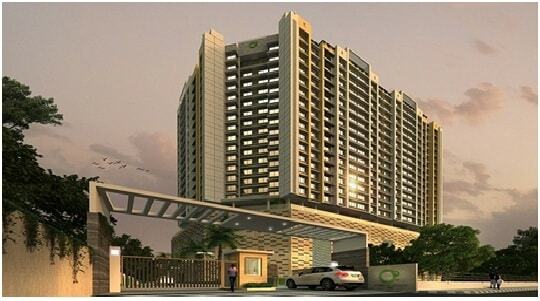 O2 is a well-designed residential complex by "Ahuja Group". The project is among the top most premium housing community in the region. The project is designed over an area of 2.5 acres which is currently pegged as one of the largest developments in the micro market.Ahuja O2 is a luxury housing project that offers 2, 2.5 and 3 BHK apartments.The project O2 has been launched as "The Lion Of Sion" and is scheduled to be completed by 2019. At one of the most premium location in Mumbai suburbs "Ahuja O2" Sion Project gives the option to choose from 2-2.5-3 BHK apartments with an area of 1140 Sq.ft To 1600 Sq.ft.This project holds 19 Floors High developed to attract most of the eyesthat are further divided in 6 Wings.Each flat is well organized to look like the most high quality home in town and that the reason why even though its under structure. This project is situated at Chunabhatti, Sion, Mumbai which is a perfect location for the one's who prefer to reside amidst maximum facilities and yet stay closer to Railway Station, Eastern Express Highway etc. Each space of Ahuja O2 is no less than a high class luxury. Being at one of the prominent place of Mumbai city, Sion O2’s strategic location gives a great advantage to its residents. It gives easy connectivity to following locations:-* Eastern Freeway - 5 Kilometers. * Navi Mumbai - 20 Kilometers. * Santacruz - Chembur Link Road - 4 Kilometers. * Western Express Highway - 10 Kilometers. * BKC - 6 Kilometers. * International Airport - 12 Kilometers. * South Mumbai - 11 Kilometers. * Thane - 24 Kilometers. O2 by Ahuja is coming up at destination of swadeshi mill Rd, MHADA Colony, Chunabhatti, Sion, Mumbai. Ahuja O2 Sion is blended with a full range of amenities like Water Storage, Club House, Jogging and Strolling Track Unique, Outdoor Tennis Courts Unique, Cycling & Jogging Track, Power Back Up, Swimming Pool, Lift, Security, Park, Reserved Parking, Visitor Parking, Intercom Facility, Maintenance Staff, Banquet Hall, Gymnasium, Indoor Games Room, Kids Play Area, Flower Gardens, Piped Gas, Air Conditioned, Multipurpose Courts, Meditation Area, Internet/Wi-Fi Connectivity, Event Space & Amphitheatre. Schools -Tulleeho Mumbai, Little Blossom Nursery, Vivek English High School, K.J. Somaiya School And College of Nursing, Green Mumbai Primary School. Shopping Malls -R Odeon Mall, Phoenix Marketcity, K Star Mall, Surve Shopping Mall, Dmart PUP, Kalazo Fashion, Shoppers Stop. Hospitals -Pramukh Swami Eye Hospital, MCGM Dispensary, Muncipal Hospital & Maternity, Dalvi Child Hospital, Santrupti Hospital. Bank/ATMs - Axis Bank ATM, Union Bank ATM, State Bank Of India ATM, IDBI Bank ATM, HDFC Bank ATM, Canara Bank ATM. Railway Stations -Chunnabhatti railway station, Bombay Sion station, Kurla railway station, Mono Rail Depo. Restaurants - Krishna Hotel, Hotel Sagar, Bawarchi Fast Food, Gurukrupa Fast Food & Chinese, Sagacious Family Restaurant, South Canara Restaurant & Bar. Pharmacies - Hayat Medical, Shree Chaitanya Medical, Satguru Chemist, Laxmi Medical And General Store, Vora Chemist. Movie Theatres -Kalpana Cinema Hall, Bharat Talkies, PVR, Akash Theater, RNA Cinemax, Amar Cinema.